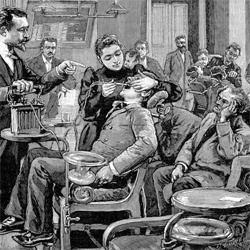 Dentistry Has Changed! | Eastern Long Island, NY | Joseph F. Sciotto D.M.D. We can assure you that you’ll be pleasantly surprised at what Joseph F. Sciotto D.M.D. has to offer today’s dental patient. So please – give us a call and make an appointment to come in to see us! And we promise – we don’t lecture – even if it has been awhile since your last appointment!